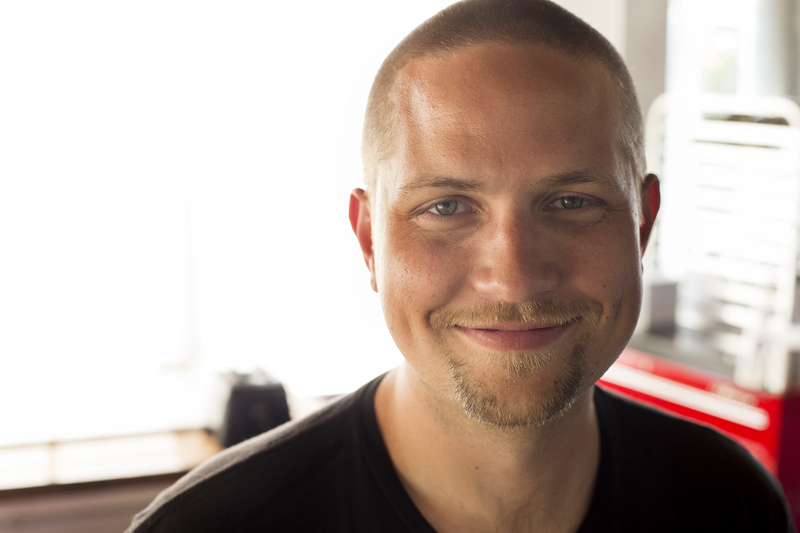 As some of you will remember, this isn’t the first time this blog has highlighted the work of ChefSteps audio director Hans Twite—Twite told us all about his covetable job in this post from September 2013. What you might not know: One of the perks of working with Hans is that he’s a veritable wellspring of awesome music recommendations, and he’s always enthusiastic about sharing the stuff that inspires him. So we asked him to share that stuff with you. Below, Hans details the weird and fascinating tracks he’s listening to right now. Enjoy, and please share your own current favorites in the comments. Ishmael Butler and Tendai “Baba” Maraire, the amazing duo known as Shabazz Palaces, are never far from reach in my record collection. This track—from the highly anticipated, recently released Lese Majesty—is just a taste of the amazing and creative production that these guys have to offer. The feats of musical ingenuity they pull off in the studio are also on display during their captivating live shows . Daniel Lopatin, also known as Oneohtrix Point Never, is lauded for his minimalist, yet multi-layered, experimental music. I am constantly gravitating towards his stuff and admire his ability to take simple patterns or arpeggiated synthesizer lines, and completely breathe life and feeling into them with his arsenal of musical machines. Nathan Quiroga and Benjamin Verdoes are two Seattleites with a long history in the local scene. Known locally for his successful hip hop group called Mad Rad, Quiroga found himself looking to expand his musical and artistic outlets, and formed this duo with drummer Verdoes. This hypnotic and honest music is some of my favorite to come out of Seattle in recent years. Hilarious song title, right? NetCat (Brandon Lucia, David Balatero, and Andrew Olmstead) are definitely on the edge of where technology and music meet. Equipped with both musical and computer programing backgrounds, these guys are pushing the limits of live improvisation, and humanizing the technological world of modern music production. Michael Gira and his band Swans are not for the faint of heart. But they are influential and compelling to me, thanks to their willingness to completely commit to whatever they are working on—no matter where that work leads them. They have come a long way since the early days, when they played with nothing but a tape recorder of samples and a wall of amps. A lot of my life is about plugging and unplugging cords, setting up microphones, moving amps, restringing guitars, and attempting to tune old synthesizers. When I am actively working in my studio, I need to concentrate. But I want to still listen to music. Enter Tim Hecker, who creates the perfect atmospheric background music for when you need to be able to think, but also to keep moving. Polly Jean Harvey has always been a musical innovator—and a subtle comedian. She has the ability to make some of the most earthy and natural-sounding recordings sound completely fresh and of the future. I chose this track, from an overlooked album she created with John Parish in 2009, because it really demonstrates her thematic writing, not to mention her dry humor. Morning Phase, a late follow-up to 2002’s Sea Change, has been a welcome addition to Beck’s already substantial discography. This direct and atmospheric piece exemplifies my favorite aspects of Beck’s music: his ability to find the essence of a song; his ability to craft that perfect melody on top of his music; and his ability to get out of the way of the music when the occasion calls for it. Are you going on a long road trip, or driving very late at night? Put on some Ben Frost to transform your journey into an epic cinematic experience that keeps you alert and makes you feel like you’re in some weird and awesome Icelandic movie. Death Grips just broke up! I really wish I could have seen them live, but from what I have heard even if you bought the ticket, they may not have shown up anyways! These guys were pretty much the essence of punk in a hip-hop world. Vicious, unrelenting beats and polyrhythms assault your senses, but they still manage to engage listeners and create something completely unique. Guitarist and founder of Cocteau Twins, Robin Guthrie and his use of live looping have always been a huge influence on what I do. I got into Cocteau Twins much later than many of my musician buddies because I sometimes found the vocals distracting when I wanted to hear more of what Robin was creating in the background. This album is always around, and a great one to listen to when you are relaxing late at night. David Bowie—where to begin? This guy is pretty much the reason I try to do what I do. His drive to keep pushing for new ideas, and ability to never settle on a technique or hit neutral on his “gear box,” are completely inspiring. I could tell you how I feel about the albums Low, or Aladdin Sane, or Heroes, but instead I give you “TVC15” from Station To Station. I DARE you to try and get that chorus out of your head! So there you have it folks, a new playlist for yahs from a guy who pretty much lives for this stuff. To hear Hans’ own inspiring creations (and get access to recipes, techniques, and our lively forum), join the ChefSteps community. Then, check out original Twite tracks like this recent Starburst-Style Chewy Candy composition—featuring Macklemore trombonist Greg Kramer—or the breezy, evocative score to our Kouign-Amann video. Hans thats great stuff to listen to! !